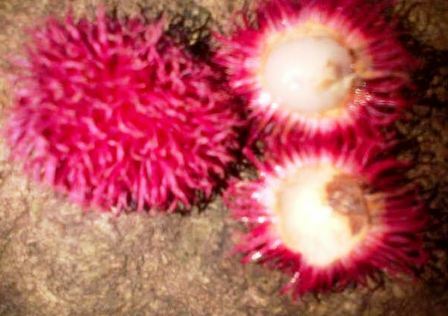 Ketuma is one of several edible fruits borne by other species of the genus Nephelium besides N. rambutan. 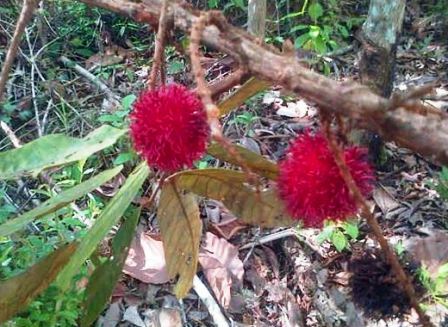 Its fruits have relatively thinner sarcosta (edible portion) and are also less sweet than rambutan. Ketuma is a native of South East Asia and grows mostly in Borneo – Kalimanatan, Sarawak, Sabah, Brunei and Palawan in the Philippines. It is rarely traded. However, local people eat it. It occurs as middle storey trees in undisturbed and slightly disturbed (open sites) in mixed dipterocarp forests, mostly in lowelands but can be found upto an altitude of 700 m. It mostly grows along rivers and streams. An evergreen tree, upto 40 m tall. 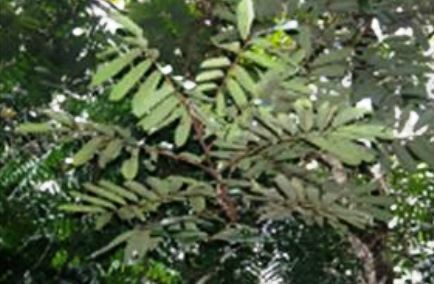 Leaves alternate, compound, 8-9 jugate, leaflets simple, elongate oblong, upto 35 cm long, 5-10 cm wide, margin entire, distinct mid-rib and penniveined, almost glabrous to densely hairy, sometimes whitish below and borne on 7-15 mm petiolules. Inflorescences terminal panicle, 28 cm long by 15 cm wide; flowers on short pedicels, small, 5 mm across, yellowish white, apetalous; calyx 5 partite, 20-25% connate, lobes deltoid and pubescent, disc hirsute; pistil 2-merous, warty and hairy, stamens short, filiform, anther villous, style short with bifid stigma. Fruit 30-30 mm across, ellipsoid to sub-globose drupe. The fruits are edible and eaten fresh by local people. 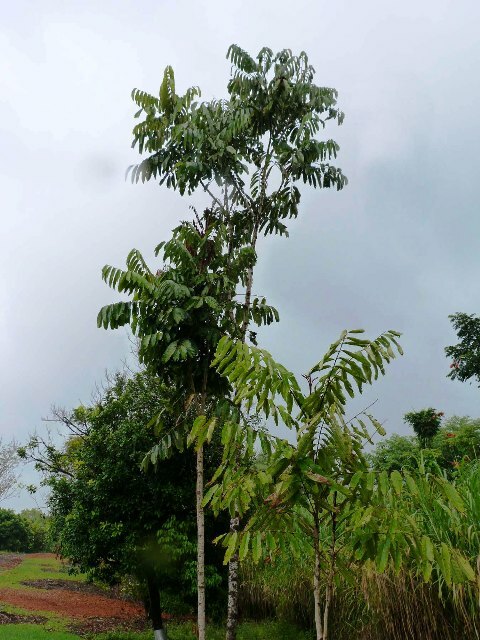 Ketuma is still not cultivated as a fruit or agroforestry plant. Therefore, no information is available on this aspect of ketuma.